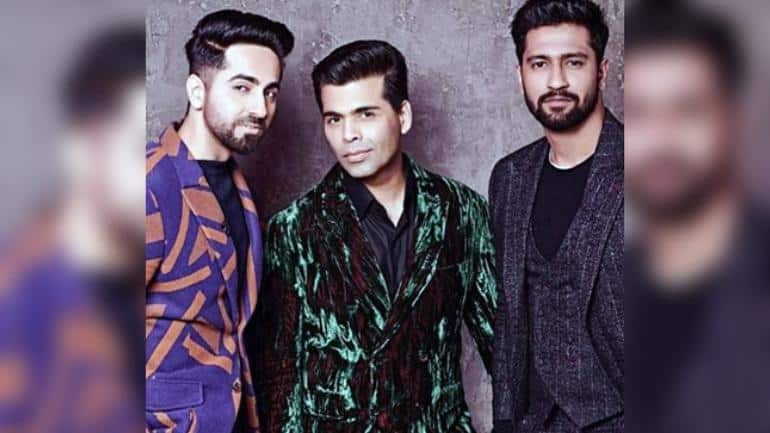 While we still dream of seeing them come together in a movie some day, stars of the year, Vicky Kaushal and Ayushmann Kurrana are coming together for the next episode of Koffee With Karan and we can’t thank, Karan Johar enough for it. With Raazi, Sanju and Love Per Square Foot this year, Vicky Kaushal owned 2018 in Bollywood while Ayushmann continued surprising us this year as well with bright performances in Andhadhun and Badhaai Ho. In the latest promo from the episode, Vicky and Ayushmann bonding has made us fall deeper in love with the two as not only does their bromance shine through, but it looks like the wittiest episode by far. The two literally run the show putting Karan Johar in the back seat. Ayushmann Kurrana revealed that he has donated sperms in real life while Vicky Kaushal fainted in response to hearing that Katrina Kaif thinks that they would look great together. Their banter continued in the gaming area, where the two keep playing with the buzzers. Well, if these promos are anything to go by, this is one episode you don’t want to miss this Sunday.